Bhuna Makhana (Toasted Lotus Seeds) – One Half Indian. I have really loved all the time I have been able to spend in the kitchen over the summer. Our house has been full of snacks and treats. Now my husband and I are both working and busy, and I know I will have to work extra hard if I still want our snacks and dinners to be healthy and homemade. 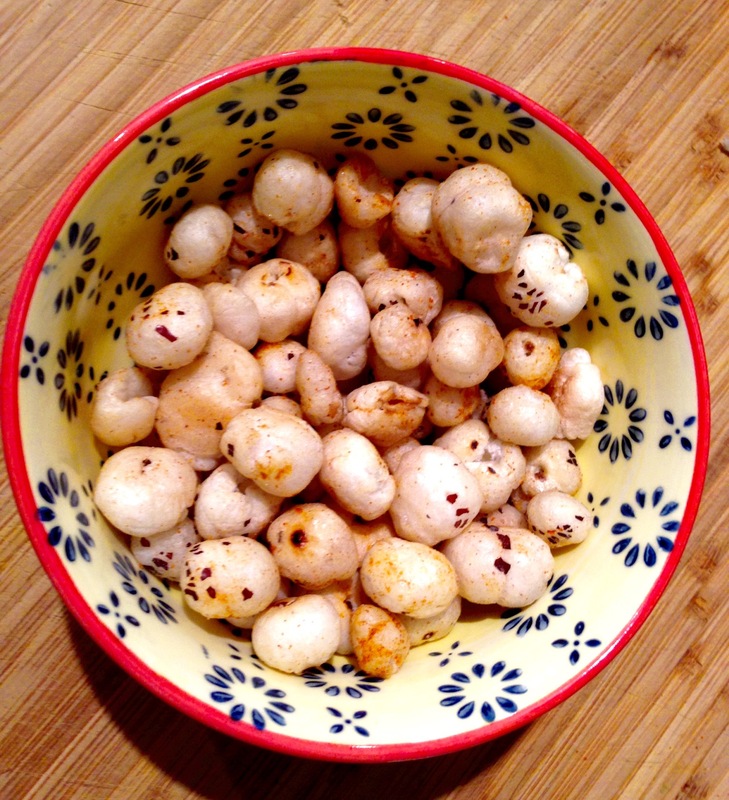 When my mother-in-law was here, she made this makhana (lotus seed) snack for my nephew’s after school snack. They are salty and crunchy and just what I am looking for in MY after school snack as well. Heat oil/ghee over low-medium heat. Add the makhana to the pan. Toast slowly over low-medium heat. The makhana need to toast slowly in order to cook through. Stir the makhana frequently to avoid burning and to keep them cooking evenly. Toast until the makhana are toasted through and have a nice puffed texture when bitten into (about 10-12 minutes). Remove to plate to cool. Add black salt and chili powder (about 1/2 tsp each is what I used but adjust seasoning to taste).